ebnondndblog | Blog about playing the character and reflections on being a new DM / This is for a class so I will also cover gaming culture and table top system reviews. It is surprising how many people are interested in table top gaming once they have been exposed to it. Due to previous ideas related with gaming, many people believe that gaming is not for them for many reasons. This can be anywhere from “Dungeons and Dragons is for nerds” or that it has to steep of a learning curve for someone to join. Statements like this are both true and false. The idea that dungeons and dragons is for nerds or geeks is a common idea, in middle and high schools and is mostly a said as a bullying tactic. However, some very famous people play table top games such as Wil Wheaton and Vin Diesel. So in retrospect it comes down to your definition of a nerd/geek. Some tabletop games do have a rather steep learning curve, but this depends on the system/ game type. However, it is rather difficult to find a gaming group that is not more than ready help new people learn a system and bring them into a game. There are also one-shot campaigns that are held at conventions or large gatherings. A one shot is when an experienced story teller will have pre made characters for new people to use (this negates the 2-3 hour process of creating a character for a new party) and allows them to experience a very condensed version of a table top system. With each genre of gaming there is a line that one can follow through history, to times before they became what they are today or even existed. However let’s stick to table-top role playing games. The idea of a TT-RPG is to create a mythological or futuristic creature and assume the characteristics of that character, as the Game Master/ Dungeon Master/ Storyteller paints a picture for the players. That picture is the world the characters must explore and interact with to continue the assumed creatures main goal. Knowing this it might become apparent that these kind of activities happened long before modern times. A more well known system for what was just explained are plays or nowadays TV shows. The director creates the world and the actors explore and interact with the world while the audience is a passenger on the journey. There are also other similar games played out among certain groups such as mock training for jobs or military organizations. These all came long before 1974 with the initial release of modern day TT-RPGs Dungeons and Dragons. This is not a philosophical question, but it is defiantly interesting to hear how many different answers there are to this question. One of the first thing someone will think about when this question is asked is, what experiences with games they have had. From board games, to card games, word association, video games, sports or other forms of competition, to table-top role playing games, and many more. Gaming has always been a part of our society, however certain archetypes of gaming have drawn negative connotations in recent history. Video games are at the for front of headlines in the most negative of ways. Video games have been called an addiction and have been blamed for violent actions of the mentally unwell. However, they are not the first form of gaming to be viewed in this light. Table top role playing games (RPGs) have been and still are seen by some as gateways to satanism and devil worship, due to the culture of the time when heavy metal and drug use were linked to satanism and table top worship was a pass time of those who par took in that music kind of music and substance abuse. This was in part due to fanatical church goers who chose not to try and understand their children but rather condemn them in public as devil worshipers. The point of this blog is mostly to help those who do not understand gaming culture and for those who are already a part of it to have an area for discussions on these subjects. The subjects will not be this dark in the future, but it is a good attention grabber. Our heroes arrived in Phandelver and shook up the local crime gang for information; now they’re off to put a stop to the Redbrand’s ruthless ways for good! Monday was a loooong session, so I’ll split this up into two posts I think. More traffic for me! 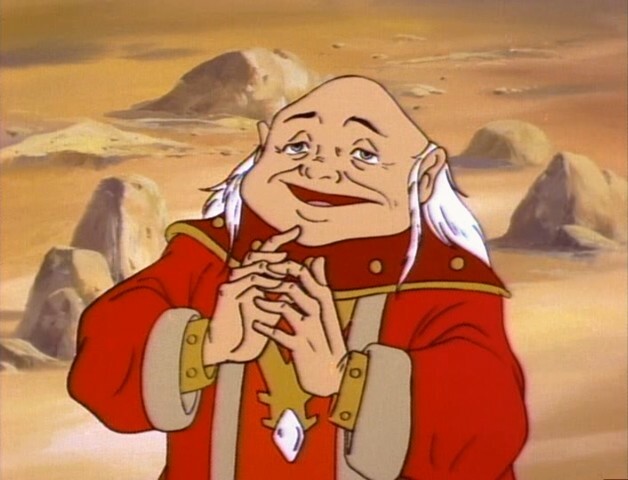 And obviously myself, the DM. 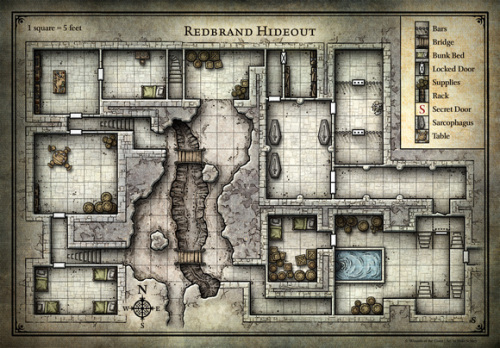 After straight-up murdering a load of Redbrands in the Sleeping Giant tavern, our heroes know that the gang has a hideout in the cellars below the old Tresendar Manor. Carp, Loki’s nephew, has told them about a secret passageway into the cellars that the Redbrands sometimes use for smuggling in goods. They could be badass and kick down the front door, or they could be smart. They choose smart. Today Calwyn, rat-fearing magic-user and master strategist, is my guest-blogger extraordinaire. Calwyn is the only living character of our original D&D party (not counting the first group of dunces who got themselves killed all together in our second session), and as such holds all the memories of past adventures and accumulated clues about the Eye of Varrien. Fitting, then, that it was Calwyn who found the Eye briefly in his possession down in that dusty, murky tomb the other night. As half his companions lay dead around him, it was Calwyn who grasped the Eye and became privy to its secrets.